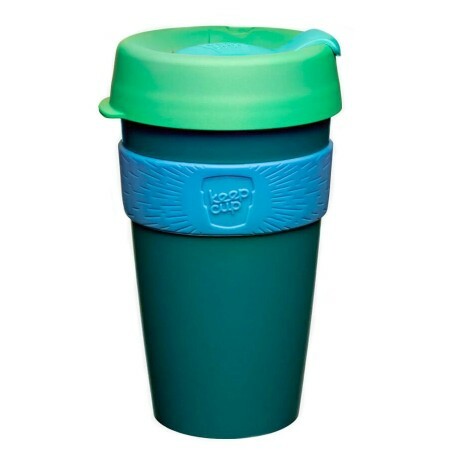 Lead the positive change from discard to reuse with Keep Cup, an easy to use, clever alternative to disposable coffee cups. Save trees and reduce landfill, CO2 and energy output with the KeepCup. You'll be amazed at how sporting your KeepCup can trigger others to adopt habits of reuse. Green 'Eddy' colourway. 454ml.